Vijay Mallya, former liquor baron who is currently holed up in England, has once again expressed his willingness — for the second time in 2017 — to resolve what he considers life’s most contentious issue. Reliable sources in Bengaluru, home to the United Breweries, a company Mallya part-owns (latest data put his share in the company at 7.9 percent), confirmed the presence of a London-based advocacy agent in India to meet up with top ministers and government officials to negotiate what could be "an acceptable solution for the Indian government" to resolve the long, pending crisis of dues totalling a whopping Rs 9,000 crores. The representative, who had last year petitioned Mallya's case with the Ministry of Finance without much success, is in the Indian Capital to explain what he claims is the seriousness of the former liquor baron in making an "upfront payment" to the Indian government and return home with “dignity and honour”. Previous attempts to reach out to the Indian government have not yielded any success for Mallya. In private conversations, Mallya has expressed his willingness to return to India and work on new business plans. The "king of good times", a title he gave himself, wanted to be seen in India as an "honest man whose business failed". It was not immediately known how the Indian government would react to the offer. It is reliably learnt that Indian High Commission officials in London had explained to their counterparts in New Delhi about the painstaking extradition process and how it could eventually delay the process of recovery of cash from Mallya. The officials further explained how Britain’s priority would be to see a peaceful election and not issues like extradition of Mallya, who was granted bail by a London court within hours after he was arrested by the extradition unit of Metropolitan Police on Tuesday. Mallya is scheduled to appear for another hearing next month. 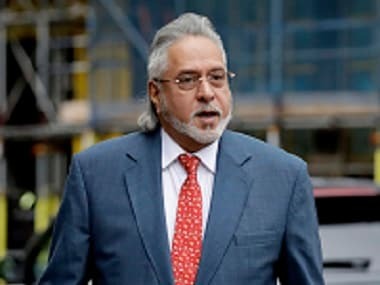 The British home secretary is expected to take the final call on Mallya’s extradition, provided the judge hearing the extradition case approves the request for Mallya to be sent back to India. Mallya, who has previously disputed accusations that he fled India to avoid bad debts, has told his friends that prolonged court proceedings could mean “a life in isolation and a stigma of lifetime”. He wants to resolve the case, quickly and amicably. But the main crisis revolves around the amount that the former liquor baron is ready to offer. His emissary has indicated that the amount hovered in the region of Rs 4,500 to Rs 5,500 crores, and could be offered by the embattled tycoon the moment he gets a green signal from the banks and the finance ministry. What is interesting is that the offer is much less than the Rs 6,868 crore Mallya’s emissaries had once offered, arguing if public sector banks could offer a one-time settlement to other borrowers, why shouldn't be Mallya’s offer be accepted. But the banks in India had rejected the offer, arguing the former liquor baron needed to pay the complete amount of Rs 9,000 crore due from him. 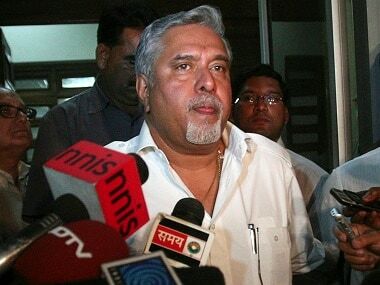 It is also understood that Mallya is wary of the criminal investigations against him. The CBI has found that sometime in 2011, while banks were executing a debt restructuring plan, Mallya may have availed of a commission on personal guarantees for further loans that were given to him. The excess funds were given by the banks in an effort to bail out the companies under Mallya’s control, including the long-ailing Kingfisher Airlines. As per the bailout plan, Mallya was not supposed to avail of any commissions for providing any guarantees. The CBI is probing whether he violated any of these agreements as well as if there exists any conspiracy to defraud the banks. 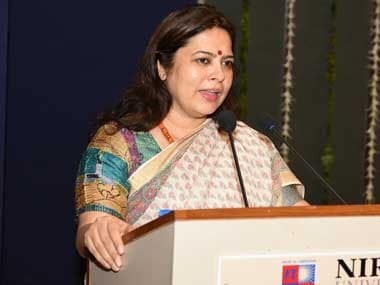 A similar charge has already appeared in the CBI’s January 2017 chargesheet on money borrowed by Kingfisher Airlines from IDBI Bank. Arrests were made in the case. In Mallya’s case, all decisions to approve the loans till 2011 were taken by the head of the State Bank of India, from its head office in Mumbai. The SBI has the largest stake in the corpus loaned to Mallya. Mallya, it is learnt, is apprehensive of being kept in custody for quite some time if he lands in India because of the criminal cases filed against him. His back would be up against the wall till he also reaches a settlement in the debt recovery cases. The flashy tycoon had even tweeted what looked like his frustration with the Indian banks, Mallya wanted the Supreme Court to intervene and push the banks to settle for one time cash. "Public-sector banks have policies for one-time settlements. Hundreds of borrowers have settled. Why should this be denied to us?," Mallya had tweeted in March 2017. Mallya’s appointed representative, considered close to a host of politicians cutting across all parties, is expected to start negotiations soon, the sources claimed. The person is expected to present a blueprint of Mallya’s assets in India and abroad to dispel doubts in the minds of many about its actual value and the amount of cash he was ready to offer. The need to talk about his assets, claimed sources, emerged after the country’s apex court in March 2017, had asked the former liquor baron about the "truthfulness" of his disclosure of assets and transfer of the $40 million to his children. "You answer us whether you have disclosed your assets truthfully? Did you violate the Karnataka High Court order (restraining Mallya from transferring and alienating assets) by transferring $40 million,” a bench of Justices AK Goel and UU Lalit had asked Mallya's counsel. The apex court had reacted after Attorney General Mukul Rohatgi blamed Mallya for taking Indian courts "for a ride". There are other issues bothering the banks. Recently, the consortium of 17 banks, led by the country’s largest, State Bank of India, failed to attract bidders in its efforts to auction Mallya's plush Kingfisher House in Mumbai and Kingfisher Villa in Goa last month, despite lowering the reserve price for the fourth and third time, respectively. The banks, expectedly, are wary. The consortium has said it will see what’s on the plate before commenting whether or not the offer is acceptable. "Let him send us a letter and explain how much he wishes to pay, Indian banking is not done through twitter," consortium's counsel SS Naganand said in a telephonic interview. Bank officials, speaking on conditions of anonymity, said they want a settlement done at the earliest because they fear a severe backlash from investigation agencies. In January this year, the CBI arrested former IDBI Bank chairman Yogesh Aggarwal and eight others, including Kingfisher Airlines' former chief financial officer A Raghunathan in the Rs 750-crore loan fraud case. Mallya, who has been in Britain, since he left India on 2 March 2016, must come up with some quick answers if he wants to return home. The choice entirely lies with him, and his battery of lawyers in India and London.